Off to a good start! 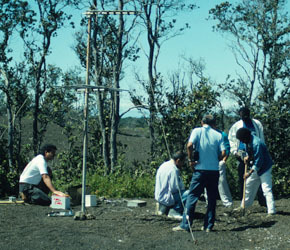 1990 was the first year we offered the CSAV International Training Program in Volcano Hazards Monitoring. Participants came from Papua New Guinea, Mexico, and the Marianas Islands. 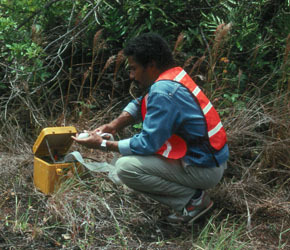 Ima Itikarai and gas geochemist Don Thomas collect a sample from Sulphur Banks. 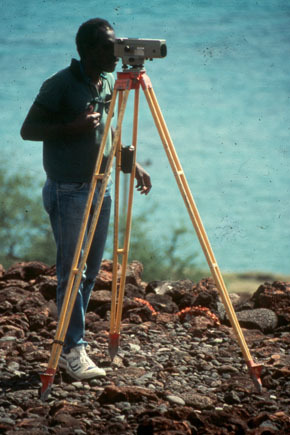 Ima Itakarai of PNG uses a PortaCorder to record earthquakes at Kalapana. 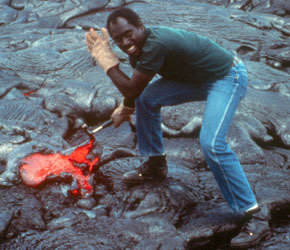 Luther Sipison from Papua New Guinea breaks open the crust of a pahoehoe flow. 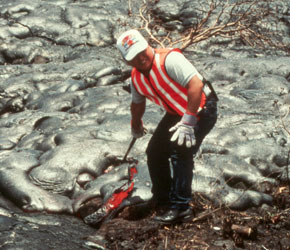 Jack Sablan collects a sample of molten lava using a rock hammer. 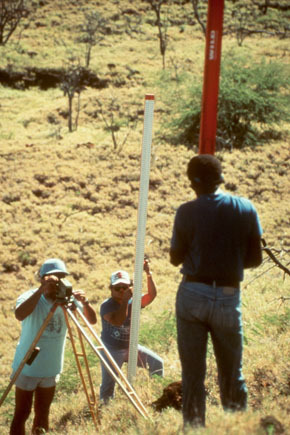 The CSAV crew assists Maurice Sako of HVO in leveling Puu Kohola. 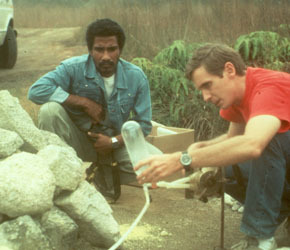 Luther Sipison takes a leveling measurement with the NAK-2 gun. Ray Chong learns how to install a telemetry station in the field with HVO. 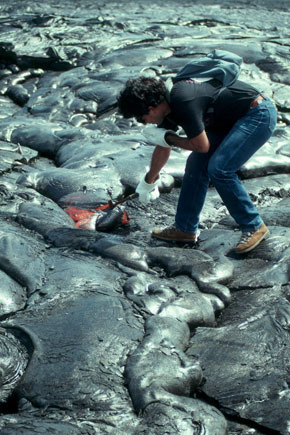 Enrique Carballido Sanchez samples lava. 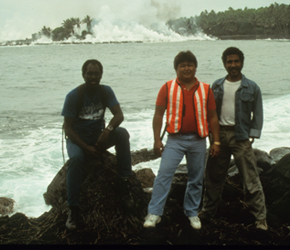 Lava flows into Kaimu Bay, Kalapana, as CSAV participants Luther Sipison, Jack Sablan, and Ima Itikarai watch from a safe distance. 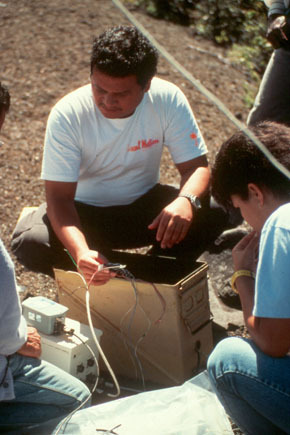 George Kojima shows CSAV participants how to install a telemetry station, carefully burying the seismometer in tephra to avoid noise.